Tibet has many world-famous attractions. Located in a plateau north of the Himalayas, Tibet is a mysterious, exotic place. Since the beginning of the 20th century, the massive, tranquil land with its majestic scenery and mysterious religious culture has exerted an awesome draw on travellers from all over the world. For first timer to Tibet, of course you cannot miss the top must-see attractions of Tibet. But for a returned traveller, or someone who is interested in Tibetan culture and Buddhist religion, Tibet Travel Expert of Tibet Ctrip Travel service team, recommend and introduce you some of the less-visited attractions in Tibet. The less-visited Attractions in Tibet continues the charm and sometimes more than the most significant tourist attractions. Drak Yerpa is located on a hillside in Dagzê County of Lhasa. 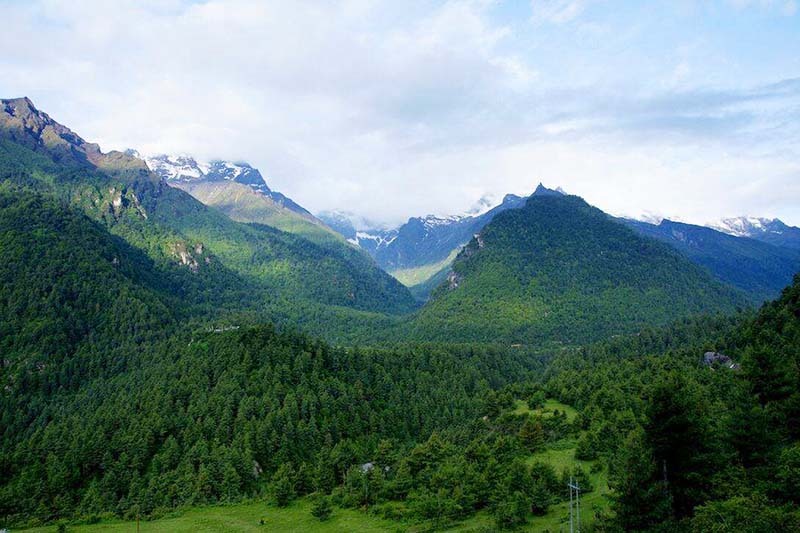 The entrance to the Yerpa Valley is about 16km northeast of Lhasa on the northern bank of the Kyichu. From there, it is another 10km to the famous ancient meditation caves in the spectacular limestone cliffs of Yerpa Valley. There is an ancient sky burial site opposite the main caves. 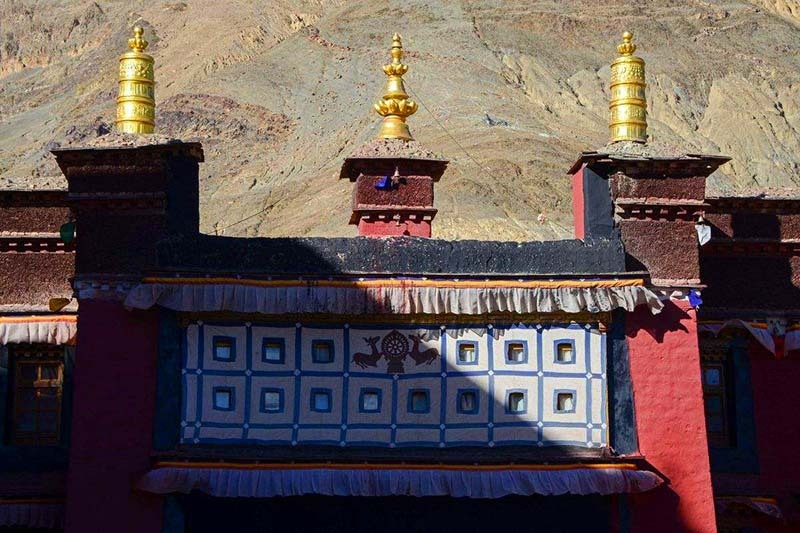 The famous legendary hero Gesar of Ling has once visited the valley. The holes his arrows left in the cliffs are evidence of his presence. Drak Yerpa consists of a monastery and around 108 ancient meditation caves that used to house about 300 monks. You will find numerous such small statues and murals preserved within these caves. The opening hour is from 9:00 in the morning to 17:00 in the evening. And the admission fee is about RMB 25. Sakya Monastery is about 127km west of Shigatse on the road to Tingri. Konchok Gyelpo founded Sakya school of Tibetan Buddhism in 1073. He was originally a Nyingmapa monk of the powerful noble family of the Tsang and became the first Sakya Trizin. Its powerful abbots governed Tibet during the 13th and the 14th centuries under the overlordship of the Mongol Yuan dynasty after the downfall of the Tibetan Empire. They were later eclipsed by the rise of the new Kagyu and Gelug schools of Tibetan Buddhism. Archaeologists found a huge library with as many as 84,000 scrolls and a wall 60 meters long and 10 meters high at Sakya Monastery in 2003. Most of them are probably Buddhist scriptures although they may well also include works of literature, and on history, philosophy, astronomy, mathematics and art. They have remained untouched for hundreds of years. The Tibetan Academy of Social Sciences are currently studying this massive collection of historic treasure. Tucked away from the rest of the world, the valley of Gyirong is one of the last great bastions of exploration available to those who wish to venture into true Tibet. Gyirong, the recent Sino-Nepal Border, is a very beautiful place to visit although it has remained seldom visited by the tourists. Gyirong valley’s skies look down upon an area almost untouched by man, yet vast and beautiful in its natural splendor. At night, those fields in turn their eyes towards the sky and witness a thousand stars make their way across it: the milky way. You will get to see the mesmeric Cordyceps that stick out of the earth or the Herba Rhodiolae and also the huge Ganoderma mushrooms. The greenery and the clear sky will attract you like nothing. Also except for the remarkable flora and fauna, you will get to see the ruins of Gongtang Kingdom and the temple Dolma Lhakhang with quite a few murals. Tholing Monastery is located in remote badlands of far western Tibet in Zanda County of Ngari Prefecture. It perches on an escarpment in the Grand Canyon along the Langchen Tsangpo (designated as Sutlej River, meaning “elephant river”, in Tibet). It has a well laid out street, post office and telecommunication facilities. The isolated military installation of Zanda is nearby. Tholing is 19km east of Tsaparang, which is 262km from Darchen. 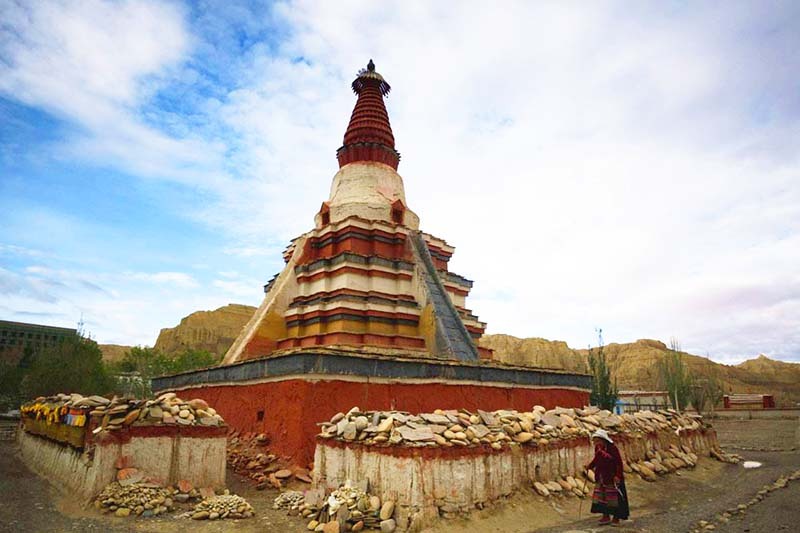 Tholing Monastery is the oldest monastery Ngari. It was built in 997AD by Yeshe-Ö, the second King of the Guge Kingdom. In Tibetan language ‘Tholing’ means “hovering in the sky forever”. The monastery stands at an elevation of 3,800m. 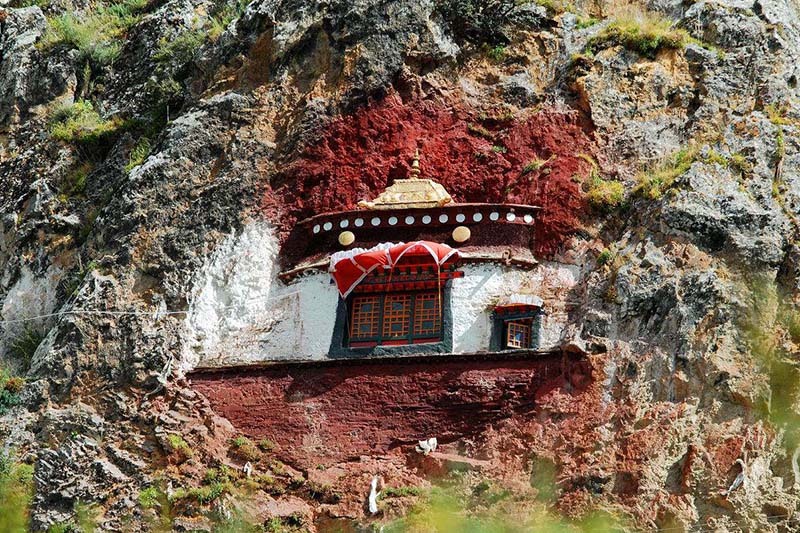 The complex includes three temples, the Yeshe-O Temple, the Lhakhang Karpo and the Dukhang. There are many ancient, precious, and well-preserved frescoes. Tibet Travel Expert of Tibet Ctrip Travel Service Team is experienced in arranging customized Tibet tours with the less-visited attractions of Tibet. Please get in touch with us via email, [email protected], to find out more less-visited attractions of Tibet for your Tibet tour. Previous postShopping in Tibet: What to buy? Where to buy? How to bargain?